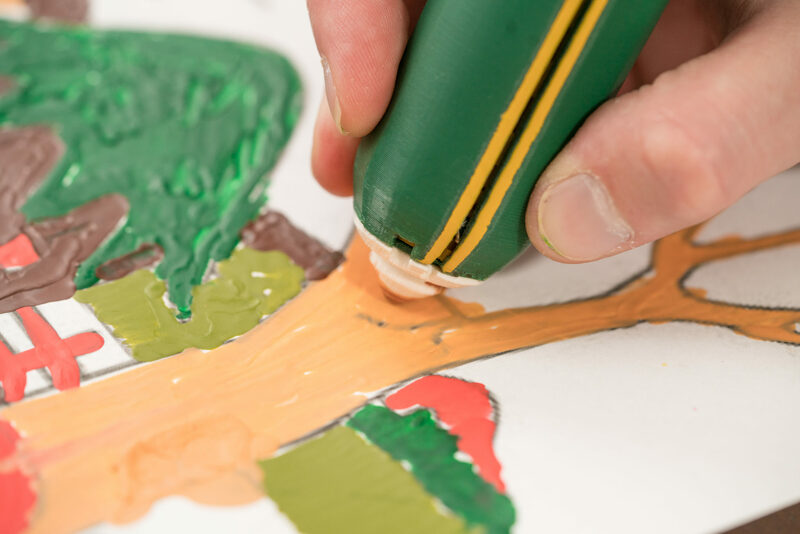 Create unique, textured wax art with yolapen, the only crayon-melting pen that can easily and safely switch from one color to the next. yolapen quickly melts your crayons, so you’ll never have to wait longer than one minute to start getting creative! Use your crayons like never before (even the broken ones). And parents, rest easy with little to no cleanup. Upgrade your children’s’ crayons with yolapen! 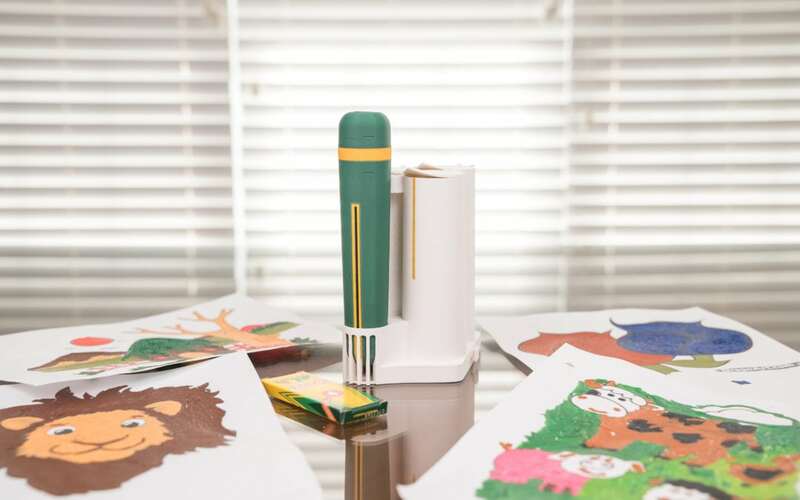 With yolapen, kids can quickly and easily switch from color to color without having to use up an entire crayon first. 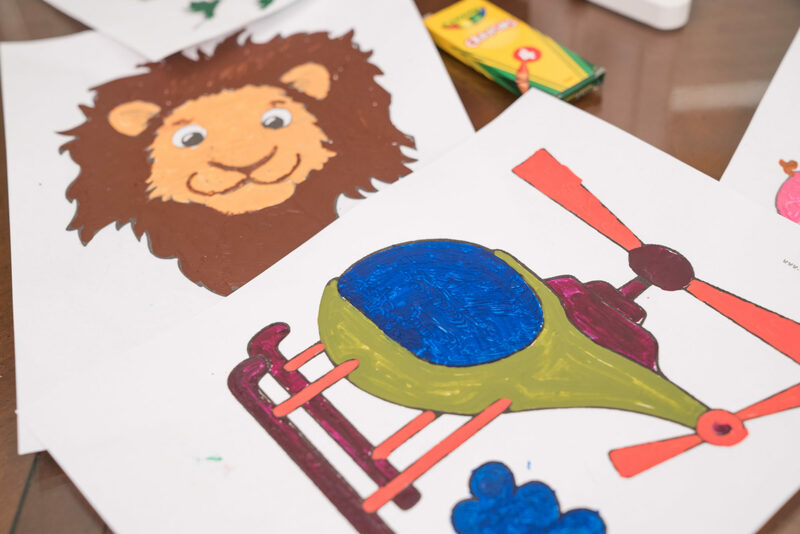 Children can even mix colors to create their own new colors! Each yolapen is comprised of a pen, a docking station and three cartridges to allow for maximum expandability and maximum fun! As parents, you can have peace of mind knowing that your children are isolated from all heat sources located in the yolapen system, so it’s safe for children eight and up to enjoy. The specially designed pen tip prevents spills or leaks of any kind by locking when pressure is taken off the pen tip. 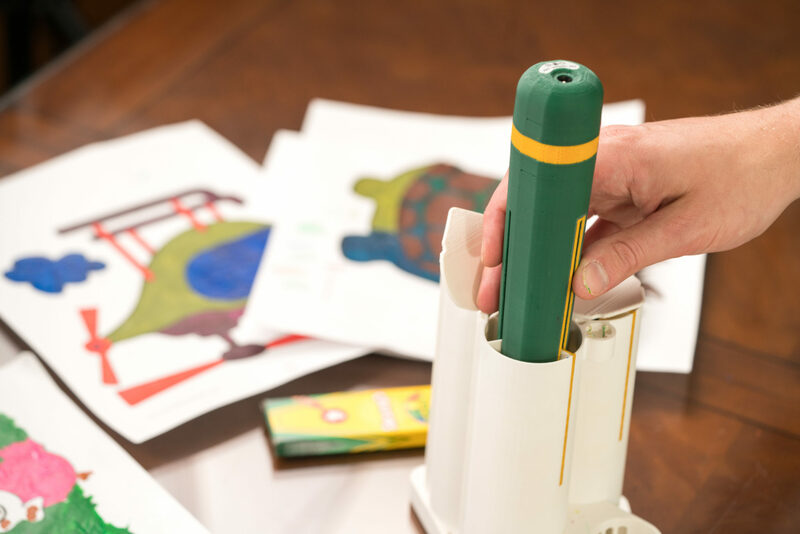 yolapen even comes with a crayon wrapper removal tool to help discard the label on each crayon, so kids can avoid getting messy or making a mess which means less clean up time for you!